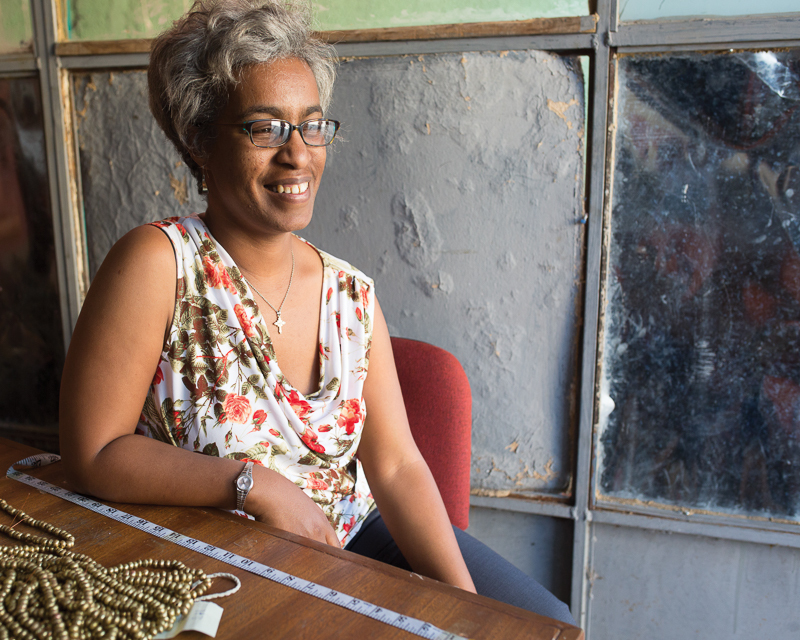 Cherry is the intrepid entrepreneur behind Ellilta, an organization that creates opportunity for vulnerable women, including many women emerging from prostitution on the streets of Addis Ababa, Ethiopia. 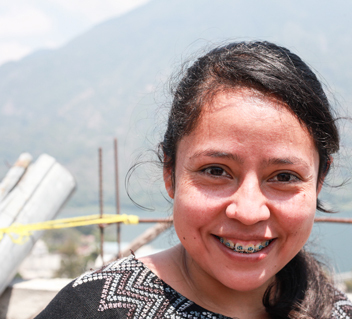 We began partnering with Cherry in 2014 to develop a brand new jewelry-making workshop for the organization. Today on Flourish, Cherry shares in her own words how her journey led her from a life of comfort to a life of risk – and incredible transformation. I was born and raised in Addis Ababa, Ethiopia’s capital, in a comfortable Christian home. I was surrounded by poverty, but not touched by it. After I graduated from University, I searched for a job for a year but couldn’t find one. Communism had just been overthrown in Ethiopia, and there were no opportunities to be had. During my year of unemployment, I had an experience that changed me forever. One night I was driving through the city with my family. Under the communist regime we had a curfew of midnight. But now, as we drove through our city late into the night, we saw the nightlife of Addis for the first time. My uncle began to agree with me and said, “Cherry is right. We have no right to judge this girl. Rather we have a responsibility to reach out to girls like her.” That stuck with me and I began to wonder what that would look like. Eventually I was able to find a job – but the girl in the street kept popping into my mind. My heart really began to grieve for girls working as prostitutes and wanted to do something to help. I had an American friend who had the same desire in her heart. We took a couple months to talk to people about the issue and learn, driving around to see what it really looked like on our streets. We were two women who knew nothing about prostitution, and everything we saw was so overwhelming for us. 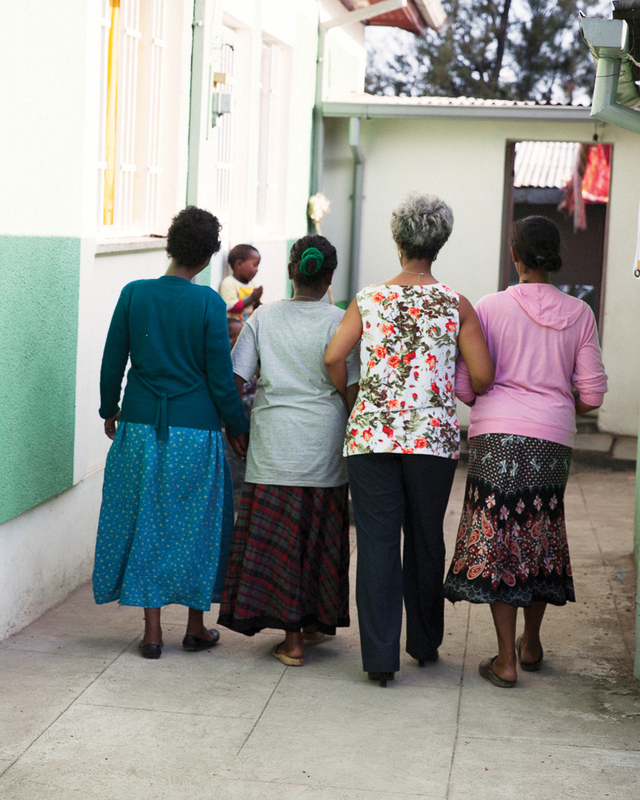 We discovered that there were 94,000 women in prostitution in Addis alone. We were so overwhelmed by all of this that we decided to put all of the statistics aside. We decided we would just find one or two women on the streets and develop relationships with them. The first woman we approached as we drove through the city was very wary of us. We told her that we just wanted to spend some time with her and get to know her, but she replied, “I can’t waste my time. I have to support my kids. You have to pay me.” She decided not to come with us. We drove away so discouraged, but we knew we had to keep going. The second girl we saw was told us her name was Rosa. It was too late for coffee, but we said, “Can we take you out for pizza?” and she jumped right into the car. Everyone gave us such weird looks as we ate dinner together! But we had a lot of fun with her. We started visiting these two girls every Wednesday. The girl in the red skirt never warmed up to us, but she kept telling her friends about us. Six more girls started showing up to meet us, and within a few weeks we were meeting with seven girls. They would tell us their stories, and we would cry and pray together. Over 2-3 months, they had become really desperate and begin asking us to help them get out of this life. They said, “If you come once a week you must care about us. What do you have to offer us?” Among the women there were so many addiction and mental health problems. They wanted us to find them jobs, but they didn’t have the skills. We realized we needed to find a tangible way to support these women. To create a source of income for them, we rounded up a few sewing machines and trained them to make mosquito nets. More and more girls were coming, ready to leave prostitution and begin new lives. I left my job and we started working with the women full time. My friend and I didn’t feel like we knew what we were doing, but we did it anyway. Today, our little program has become an official organization called Ellilta Women at Risk. We have worked with 600 women over the years with about 90% success rate. Our goal is to go deep with these women. We don’t want to collect as many women as possible and not form personal relationships with them, then have them return to the streets. We go deep with counseling to help them overcome trauma and addiction, then move to skills training. The whole program takes a full year. We also have a big vision for the children of the women who come to us. Our goal is to help break the cycle of poverty for these families. These children have been traumatized at least as much as their mothers. To help them grow into healthy adults, we do play therapy and are committed to helping children with learning disabilities. We have a childcare center and a library to help them learn and thrive. Another of our big focuses is helping the women become better mothers. Most of them have never been mothered themselves – and many of them were domestically trafficked as children. In the rural areas people are very poor, so families will sometimes let their children go with people who claim to be able to give them a better life. But when the children arrive in the cities, they are trapped in domestic servitude and are unable to go to school. Many of them are abused and end up running away – and that’s how 80-90% of the women in our program found themselves in prostitution. Because these women have never experienced unconditional love, they don’t know how to show it to their children. So we work with them to become the best mothers they can be – and with hard work, they are changing. They want to take care of their kids and be good moms. 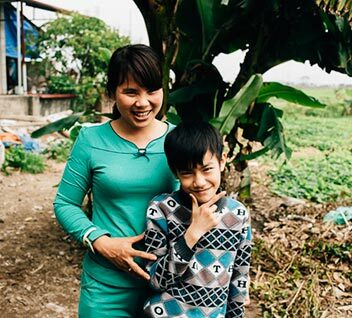 We offer programs that teach them how to keep their kids clean and healthy, cook nutritious foods, discipline their children appropriately, and cherish their kids so they can grow up to have better lives. The skills training is another key component of our program. Noonday Collection has worked with us to develop a jewelry-making workshop for the graduates of our program where they can learn a craft and earn a dignified income – many for the first time in their lives. By creating jewelry out of artillery shell beads, they are learning to respect themselves and feel pride in the work they do. With a lot of hard work and patience, these women are building a better life for themselves and their children. 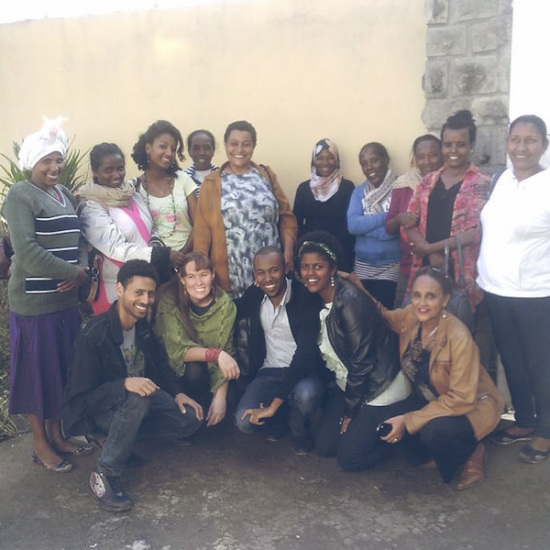 We are honored to partner with Cherry and Ellilta Women at Risk to empower vulnerable women in Ethiopia to begin new lives. To learn more about the work we are doing together, read our blog about developing the Ellilta jewelry workshop. To support these incredible women with your purchases, shop pieces handmade in Ethiopia using our “Shop by Country” feature.